Know what this is? 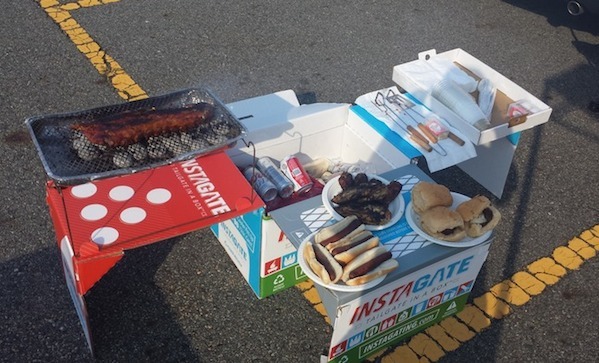 It’s tailgating made easy. This is the instagate ($50), and it has a cooler, a grill, grilling tools, utensils, a lighter, and surfaces to work on. You just supply the burgers. And when you’re done, you can fold it all up and shove it in the recycling. Or deep-fry the whole mess and serve it for Thanksgiving. God bless America!